Keeping a clean look in this project is our priority. We are projecting everything to be intuitive and as much comfortable as possible! We know that you're already tired of being Steve and Alex. With our launcher you can finally be yourself! We release an update every week. Sometimes our patches are just bug fixes. We want to everything be available and works for every user. Since 2.8 you can be whoever you want, but now you can be yourself even more! 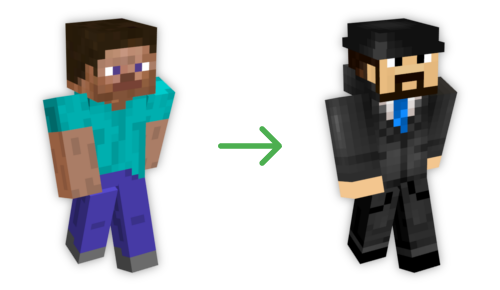 With new update you can add your own cape or change player model! This is the end of default skins... Again! 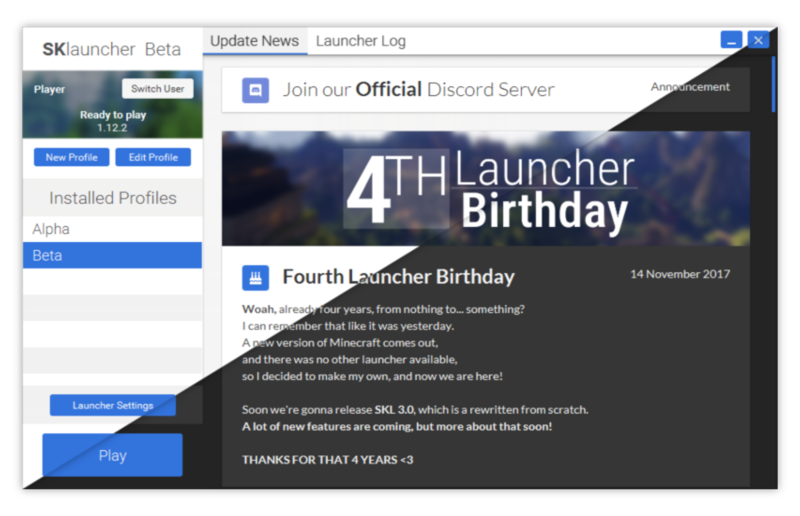 As every new version of SKlauncher, we changed the whole design! As always we trying to make everything clean and simple. This time we went a step further, and we decided to make two themes to choose, now you can use arctic white, light theme or matte black, dark theme! Now you can play at night, without burning your eyes!